Featuring the 12 winning entries in this year’s iCatCare Photographic Competition, this is the purrfect gift for all cat lovers, and it could be yours for just £9.50! The quality and artistry of the photographs transform this calendar into something really special which will appeal to cat lovers and photographers alike. The beautiful cats featured come from all corners of the globe, including cats from Malaysia, Hong Kong, Croatia, the Netherlands and the UK. Given the highly international collection of entries, it is particularly fitting that these images will be helping cats around the world. Each picture is accompanied by a little story about the cat pictured, together with a famous cat quote, and a really useable calendar for your all important dates. The calendar is A4-sized and is packaged in a shrink wrapped envelope to protect it. Priced at £9.50 (+ p&p), there are also discounts applied for multiple orders. 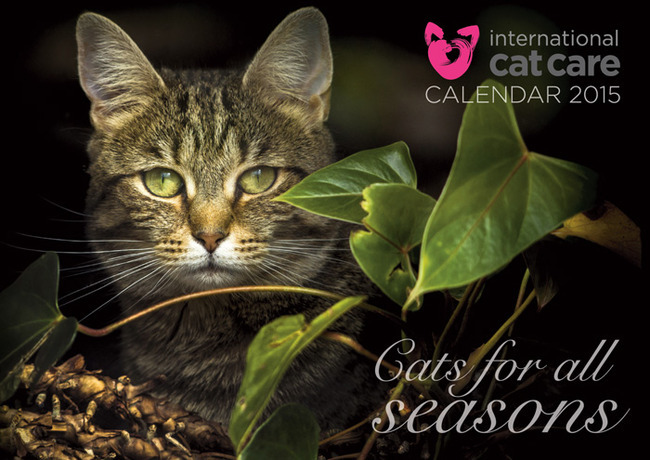 All proceeds from the sale go to International Cat Care and the calendar can be purchsed via the International Cat Care website. Stock is limited, so order now, whilst you still can!